Officially licensed by Classic Media Distribution. 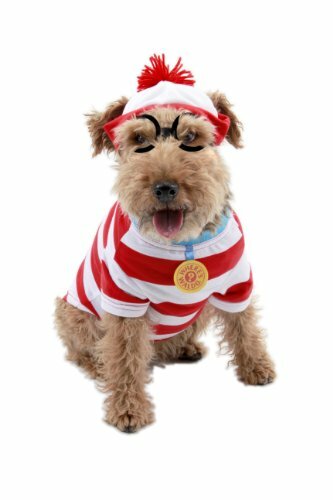 Where’s Waldo Woof Dog Kit Med: Familiar Waldo striped shirt, hat and glasses for your pet. Medium fits dogs with weight 24-45 lbs., neck 10 in, and back length (neck to tail) of 12 in.